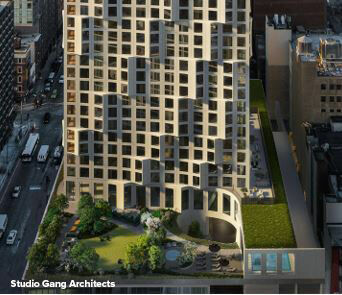 11 Hoyt’s unique design of irregularly shaped and jutting scalloped facades easily stands out in Brooklyn’s downtown area. 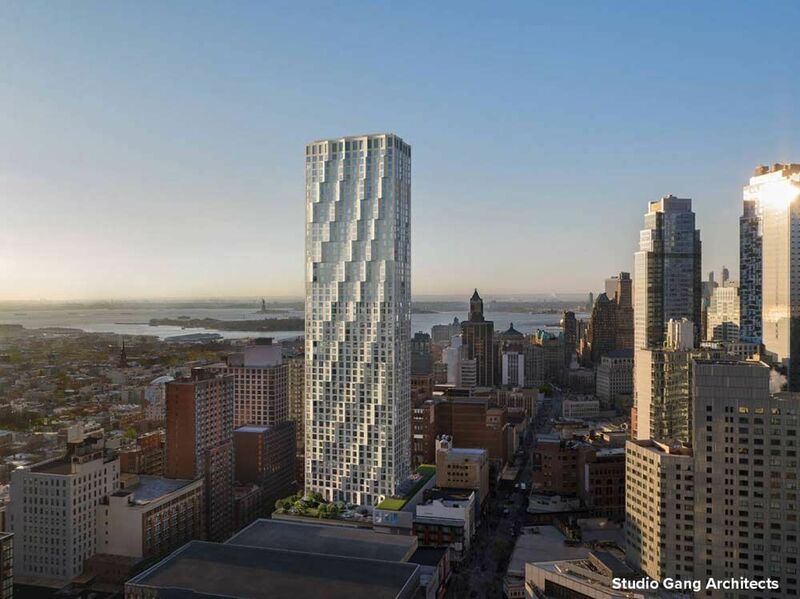 The 57-story condo building sits on the corner of Hoyt and Livingston street and features a communal 2nd-story private park totaling 27,000 ft² accessible only to the building’s residents amongst other amenities. 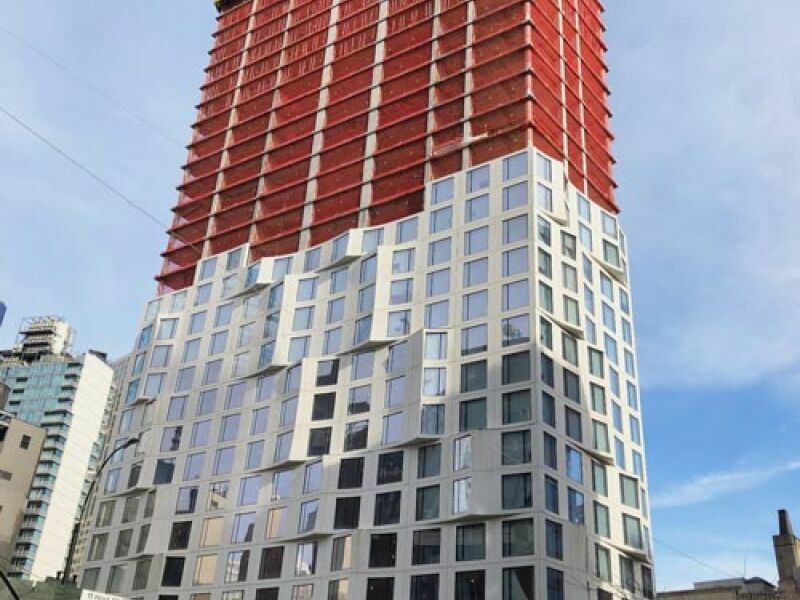 One of the benefits of using ARMATA® shear rails in this cast-in-place project is its ability to provide more floor-to-ceiling height by eliminating wasted space. 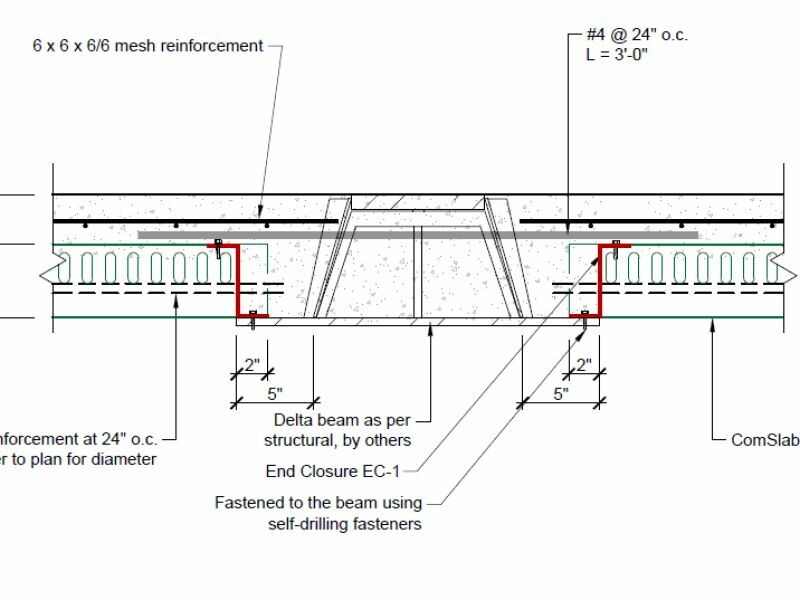 The ten-foot ceilings are obtained by eliminating drop panels and using ARMATA® shear rails as reinforcement in the slabs instead. 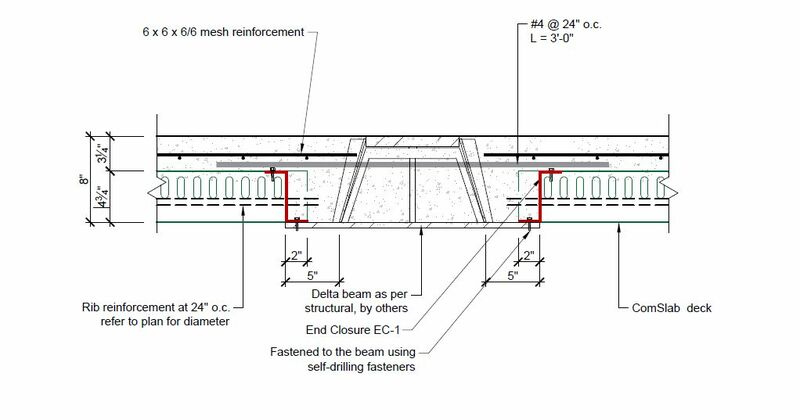 The rails increase the capacity of the slabs where the shear forces are the greatest while allowing continuous flat ceilings around the columns. 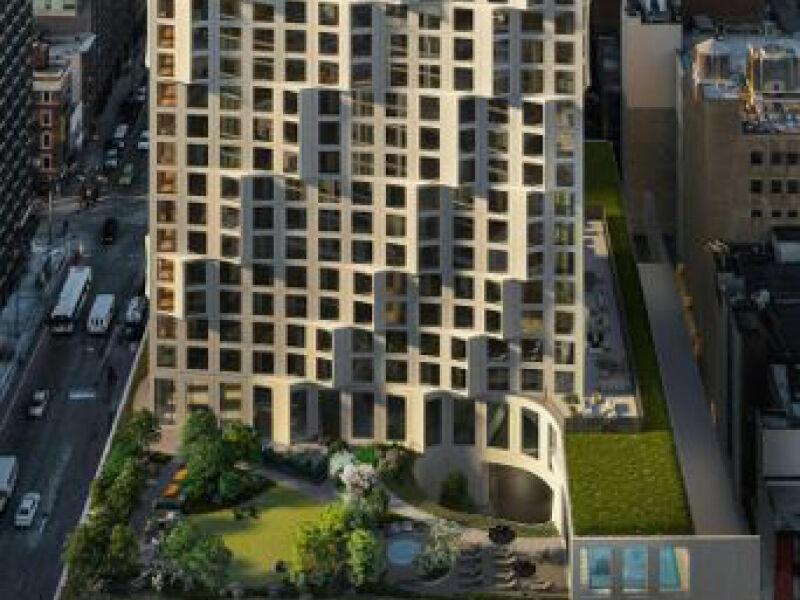 11 Hoyt was designed by Studio Gang, an architectural firm known for its inventive and iconic designs and Tishman Speyer is the developer of this 770, 000 ft² project. 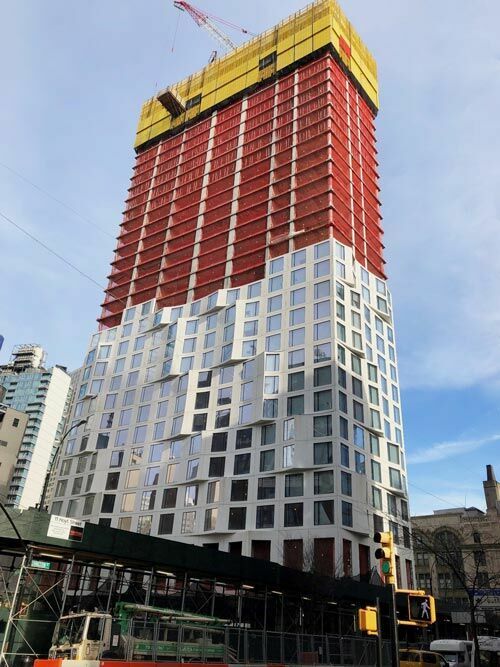 McNamara Salvia is the structural engineering firm chosen for the structural design and HD Supply was Peikko’s distributor for ARMATA® shear rails on this project.